May 2018 saw the worst monthly petrol price rise in 18 years in the UK. And the cost to fill up your car could soon increase even more, with Government considering lifting the eight-year long freeze on fuel duty to raise billions for the NHS. It currently costs £70 to fill up an average 55-litre family car - like a Ford Focus - with petrol (nearly £1 a tank less than it did a month ago) and £71 for a similarly sized diesel car. While the freeze saved Brits an hundreds of millions of pounds since 2010, it's estimated to have cost the Treasury £46 billion since 2011. Lifting the the fuel duty freeze would raise an extra £800 million for the Treasury, some of which would fund the additional £20 billion on the NHS by 2023, but concerns over the rising cost of living might see the plan being blocked in the Commons. 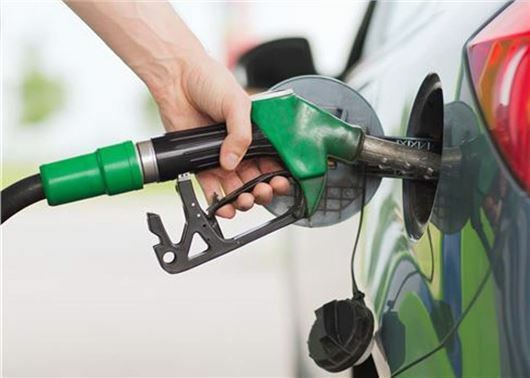 Aside from the fact that petrol and diesel in the UK are subject to some of the highest levels of taxation anywhere in Europe, fuels are also at their highest prices for more than three years. Senior Tory figures believe that ending the fuel duty freeze - and alcohol duties - would be more palatable than squeezing defence and education budgets even further. Other options include putting up the basic rate of income tax for the first time since the 1970s. However, Tory MP and former minister Robert Halfon has expressed worries that the move would not just hit working class families, but also small businesses, bus fares and food prices because of transportation costs. "Overall, it means the Treasury is now collecting more than £40 billion a year from drivers in motoring-related taxation, so there is a very strong argument that motorists are already paying their fair share of tax." The main rate of fuel duty was cut by 1p in the 2011 budget to 57.95ppl and has been frozen at this rate. VAT is also paid on fuel at 20 per cent. Petrol fell from 129.37ppl across the UK to 127.59ppl after the supermarkets cut their prices in response to lower wholesale costs. Diesel also reduced, but only by 1.5ppl from 132.32p to 130.74p - according to RAC Fuel Watch data. It's important to know which cars actually reach their claimed fuel economy, that's why we made Real MPG - which now has over 151,000 submissions of drivers' actual fuel economy figures. Interestingly, 98 per cent of hybrid cars don't meet their advertised MPG. In fact, they're the most misleading of the lot with only one in 39 vehicles reaching their official fuel economy. The typical hybrid actually only reaches about 70 per cent of the mileage that it claims to. Increase the duty on petrol and reduce it on diesel. It is essential to keep the price of diesel as low as possible as transport costs affect the price of the everyday goods that we buy. Many lower mileage drivers have switched to petrol cars now anyway. I totally agree, its about time we spent this money in the UK, we have enough problems of our own without sending money oversea's. Lets sort our own country out first!. What is the rational for penalising motorists, hauliers and other fuel users; do we/they use the NHS more than anyone else? Fuel duty is added to the cost of fuel and then VAT is added to the total of this, why do we tax a tax, I'm not against fuel tax but I am against double taxation. Lets not tax the motorist for health reasons let us tax the NHS as it was originally intended by paying for our health through payment specifically for the health service, let us increase our social services payment like Mr Bevin or Bevan, don't know how to spell his name, intended. National Insurance is for the Health Service funding, not our already heavily taxed and expensive fuel. Its time someone burst the Chancellor's Westminster Bubble. With oil being tipped to surge in price to $150 a barrel due to crisis caused by Iran and US are people going to be forced to stop/reduce travelling by car? I think most people would be happy to pay an extra penny or two on National Insurance knowing that this would go towards improving the National Health Service. This would ensure that the burden of funding the NHS is spread more fairly across the population and not just on motorists and road haulage companies. Increasing fuel taxation to fund the NHS will have a huge negative impact on the cost of delivering goods. This will then increase the cost of living for everyone in the UK. Our roads are already crying out for £billions in repairs. In my view, fuel duty should fund our roads. National insurance should be increased to fund our precious NHS. With major oil shortages due to affect all of us from 2020 onwards (due to the relative low price of oil affecting investment) the dynamics of car ownership are going to change anyway. I see far more car shares and people using apps to either offer long distance lifts or to find them (no profit is allowed as then cars would count as a taxi). As I have been switching more to trains for long distance travel I think I'm going to go electric because most of my journeys during any given week are less than 20 miles. As long as I can get 120 miles of range (there and back) in all conditions it means I can reach most of my friends. I doubt the next decade is going to be particularly nice for traditional fuelled cars and many dealerships. One report estimated that as many as half the UK's car dealerships could close in the next 10 years. Big changes are coming and any price rises due to tax are going to be pretty insignificant by comparison. By the way - the big hope of fracking in the US is one big scam - these companies have mainly negative cash flows serviced by huge debt issuances which they can never repay.